The second annual Nový Bor GM match, Novoborská šachová corrida, will start with a “fire on board”. On 1st August a chessboard will be set on fire in front of the town’s Ajeto restaurant as the “glass arena” that is home to GM Viktor Láznička will welcome Alexei Shirov, the Latvian Grandmaster who is considered one of world’s most original chess players and an heir to the incomparable WC Mikhail Tal. In late 1990s, Shirov was one of world’s top players; in 1998 he won the right to challenge Garry Kasparov for the title of world champion. 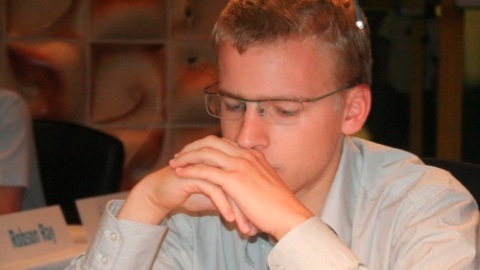 The match against Shirov, who is noted for his attacking style, for seeking complications and piece sacrifices, will be a great challenge for the player of the Nový Bor Extra League team. The Láznička-Shirov game statistics are rather scarce: so far the two have met only twice in a classical chess game. The first game, in 2006 in Pamplona, went to the more experienced player, while a year later, at the Karlovy Vary tournament, the Czech player managed to even the score with a win. 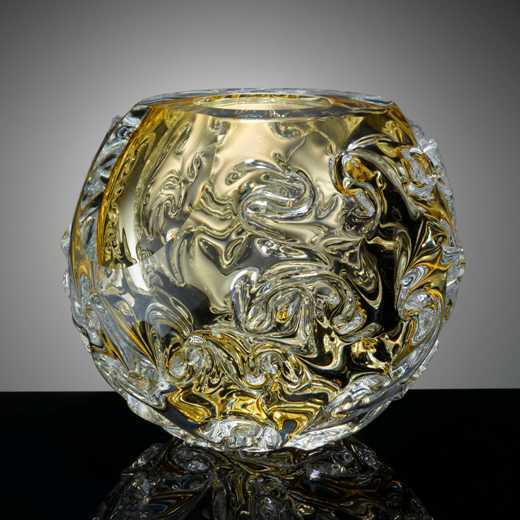 After Nadal, the “Asteroid” glass bowl to Shirov, or Laznicka? The blue Asteroid has already charmed the tennis world. Last year, at the Abu Dhabi tennis exhibition tournament featuring six players from the world’s top ten, the glass trophy created by Lasvit, a Czech glassmaking company, went to the current no. 3, Rafael Nadal. Thanks to Lasvit, this work of the well-known designer, Jitka Kamencová-Skuhravá, will also delight the winner of Novoborská šachová corrida. The set of “structural bowls”, glassworks products representing minor planets – asteroids, fragments of space matter – has been formed spontaneously by shaping hot glass without a mould. The whirlwind-like design is meant to evoke the perpetual cycle of dynamic changes of the universe in time and space. The match will take place at the beginning of August. Viktor Láznička and Alexei Shirov will play six classical games (the time control is 40/90 + G/30 with 30 seconds increment per move). The basic format of the Nový Bor chess week will not change. Visitors can once again look forward to game commentaries; the games will also be broadcast live over the Internet. Saturday, August 4th, will see the traditional Fejfar Memorial, a blitz tournament that once again drew a lot of chess enthusiasts last year. 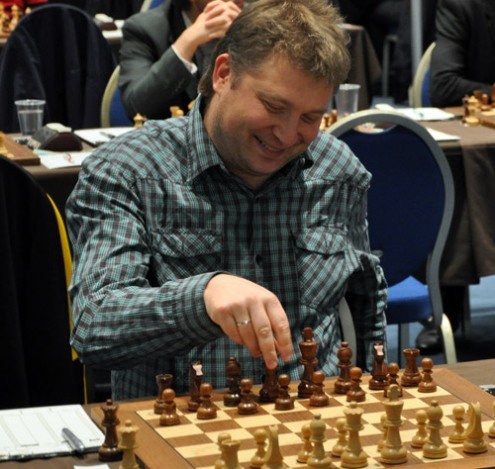 Sunday as the free day will be dedicated to a simultaneous exhibition of GM Alexei Shirov.